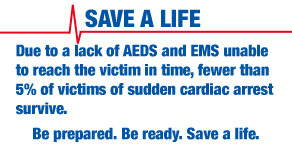 The Philips FR3 is the newest AED to hit the market and has the medical industry abuzz with excitement. Easily one of the toughest life-saving devices ever created, the Philips HeartStart FR3 has been designed for first responders and health care professionals that demand the finest. Combining the best in both technology and design, Philips has raised the bar. 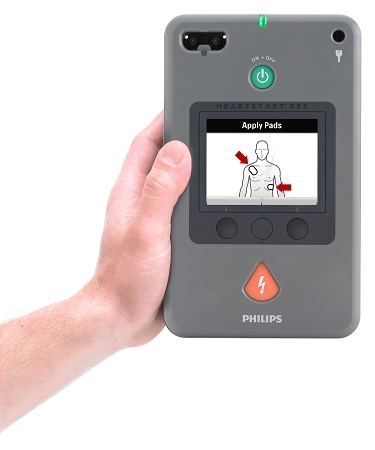 The Philips FR3 is the finest professional-grade AED within the Philips HeartStart lineup. The smallest and lightest AED available (it weighs a meager 3.5 pounds), the Philips FR3 is actually incredibly rugged despite its light weight and compact size. Receiving a rating of IP55, the Philips FR3 is capable of withstanding dust and jetting water, providing first responders subject to the harshest environments the finest in durability and design. Not only is the Philips FR3 incredibly well designed and crafted, it also provides a number of innovations and improvements in terms of functionality and use. Most notably, the Philips HeartStart FR3 turns on automatically once its carrying case is opened (similar to a laptop that turns on once it's opened), eliminating a step for deployment and saving time. The Philips HeartStart FR3 also includes pre-connected peel-and-place SMART Pads III that are free of foil pouches, an improvement that frees valuable seconds. In addition, the Philips FR3's SMART Pads III are also for use for both adult and pediatric patients, once again freeing valuable seconds while also eliminating the need to purchase pediatric electrodes. The Philips HeartStart FR3 also walks responders through the process of delivering therapy, enabling untrained responders to easily save a life when sudden cardiac arrest strikes. In addition to visual cues that take advantage of the high-resolution color LCD screen, the Philips FR3 also features a CPR Metronome that keeps compressions consistent and well-timed when administering CPR. The Philips HeartStart FR3 also performs a number of self checks on a daily, weekly, and monthly basis. 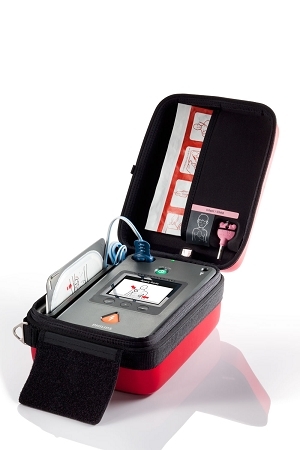 The tests include not only the mechanics of the Philips FR3, but also the electrodes and batteries the AED utilizes. Should anything be amiss, the Philips FR3 will display a message on its graphical display, in addition to audible alerts. The battery of the Philips FR3 is also impressive. Capable of delivering 300 shocks or 12 hours of patient monitoring, the Philips FR3 battery is one of the most impressive we've seen. The Philips HeartStart FR3 also features a bilingual configuration, making it the perfect device for bilingual work environments. 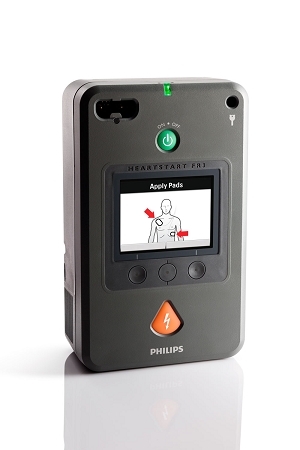 In short, the Philips HeartStart FR3 is easily one of the most impressive AEDs to hit the market. The Philips FR3 is incredibly sturdy and rugged, capable of savings lives in the harshest of environments, enables responders to provide life-saving therapy in a matter of seconds and faster than any other AED, and comes from Philips, the long-standing king within the industry. 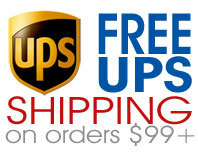 The bottom line: anyone looking for the best cannot go wrong with the Philips HeartStart FR3.